Sometimes karma throws you a bone and then you don't hesitate and pick it up. 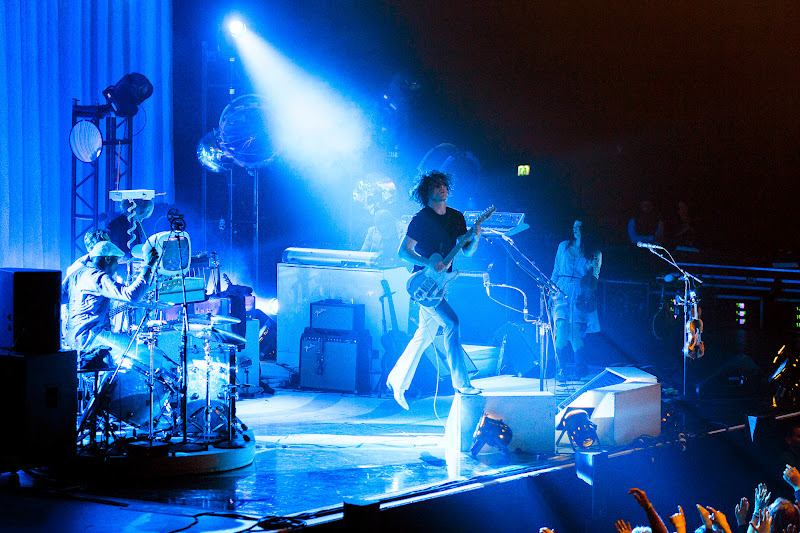 Jack White was supposed to play my home-town when I was away to the Rock Werchter festival. But then it was moved forward a few days into the available part of my calendar. Of course I didn't hesitate and bought tickets right away. The Amazing Snakeheads are the ones to warm us up. I listened to a few of their songs which were quite interesting. Their raw punk rock reminds a bit of the music of Nick Cave's The Birthday Party. But tonight it doesn't sound convincing. Their set is a bit messy and the breaks between songs are sometimes too long. Jack White released his sophomore solo album Lazaretto a few weeks ago which, like his first one, is full of raw blues and rock songs. In his career he made enough songs to fill this night with great music. Prior to the show we are requested to watch the show in 3D and not at the tiny screen of our phones. Although I only take pictures throughout a show, I respect this request and only shoot a couple of pictures to user for my social media accounts. 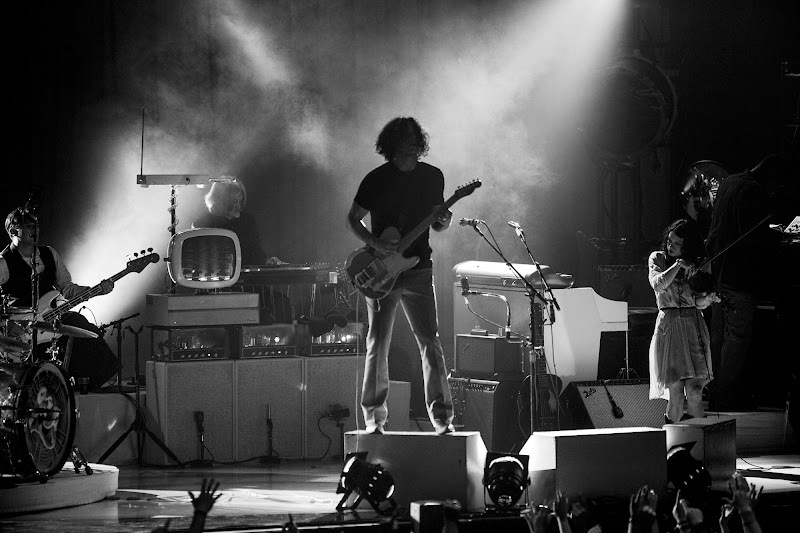 The rest of the images are downloaded from Jack White's website as he allows everyone to. 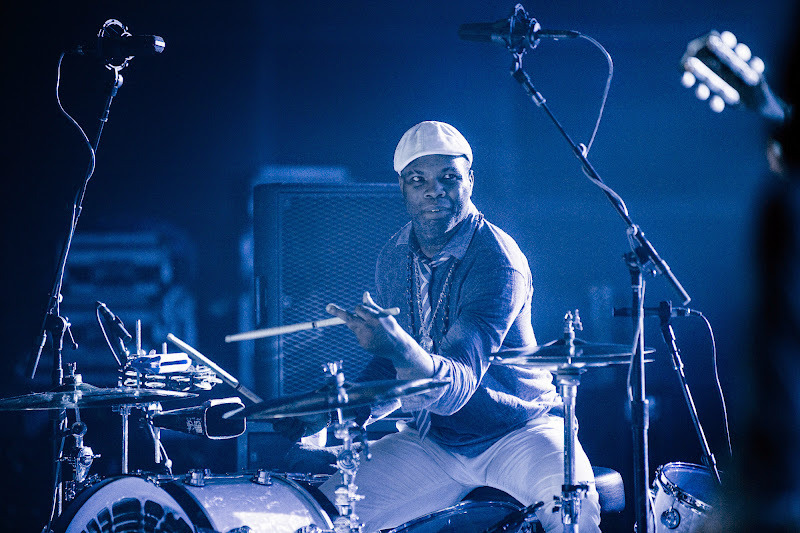 This time he didn't bring two bands but brought the all-male band of his previous tour and added violin player Lillie Mae Rische This band is wonderful with the incredible drum player Daru Jones It's very tight and offers White the right backup for a rough and solid rock show. He's offering the best of his impressive discography. Many songs of The White Stripes are mixed with songs of his solo albums, his other projects The Raconteurs and even a The Dead Weather song 'I Cut Like A Buffalo'. He doesn't waste any time talking in between songs a lot and the tempo of the show is very high. One great song after another is fired upon us. The White Stripes songs like 'Hotel Yorba' and 'The Hardest Button To Button' sound amazing with a full band, adding a rougher edge, and personally I prefer these arrangements. They sound fuller and groove more, played by this amazing bunch of musicians. The Raconteurs song 'Steady As She Goes' sounds a bit more vicious than the original. 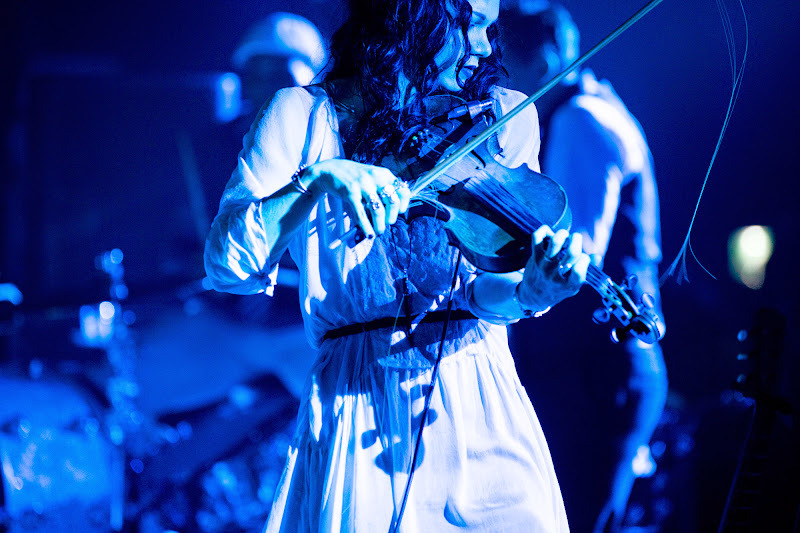 Charming violin player Lillie Mae is also singing the female vocals parts in some of the songs like 'We're Going To Be Friends' and does a good job, adding a softer touch. We get treated to a long six song encore where White and his band go all the way one more time. When he closes the set with the anthem of a generation, 'Seven Nation Army', we have been treated to a rocking twenty song set. Jack White proves tonight that even though people keep saying that "rock 'n roll is dead", it is actually very much alive inside this brilliant musician.